Hardwearing and rugged Amblers FS301 safety boot, engineered to be flexible at the metatarsal on soft movement but turn solid when impact hits. 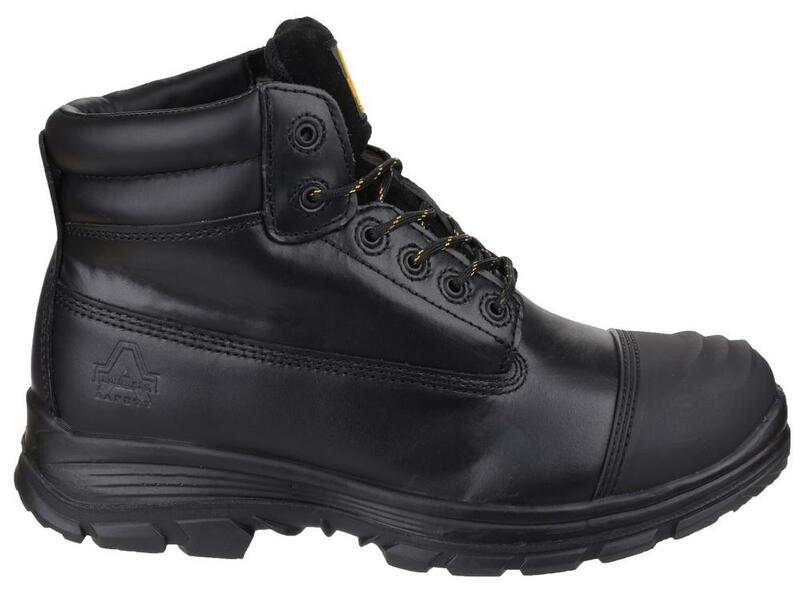 Internal metatarsal guard, Full grain leather upper and Breathable mesh inner lining. 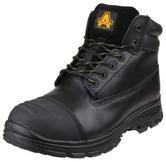 Padded suede tongue for comfort at the front and dual padded PU collar for Achilles protection. 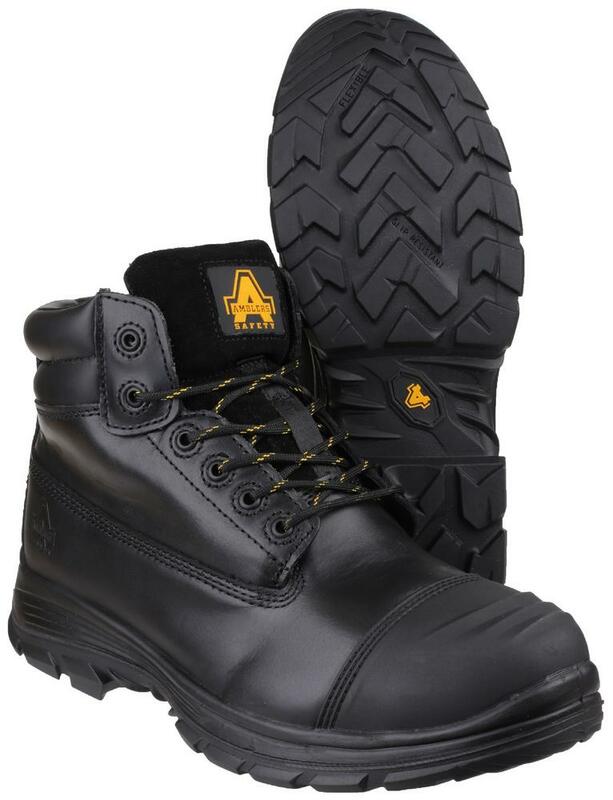 Removable memory foam footbed and Moulded rubber scuff cap for extended protection and durability. 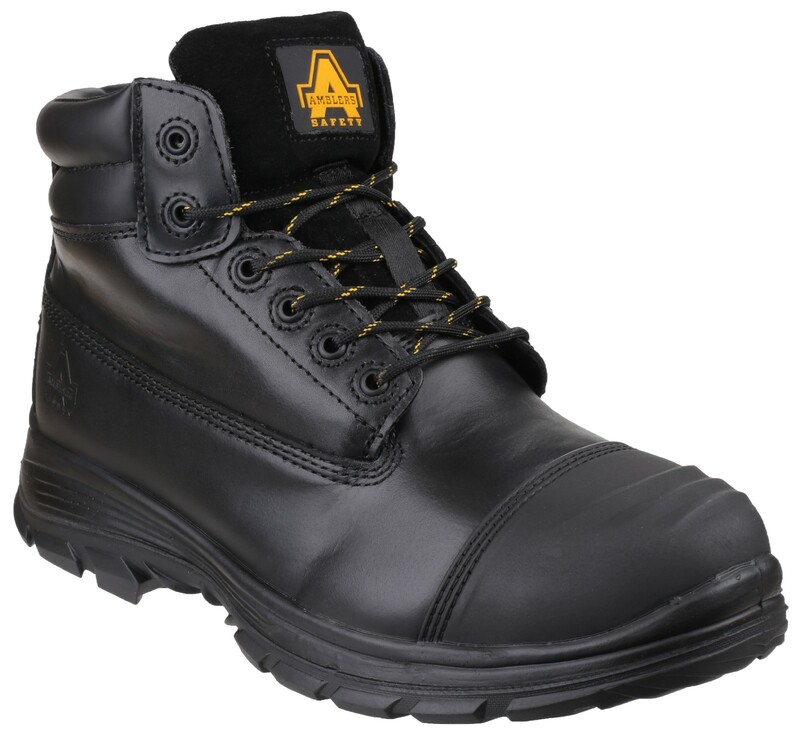 Steel toe cap protection tested to 200 joules impact and Penetration resistant steel midsole plate. Antistatic safety boot with Energy absorbing heel. 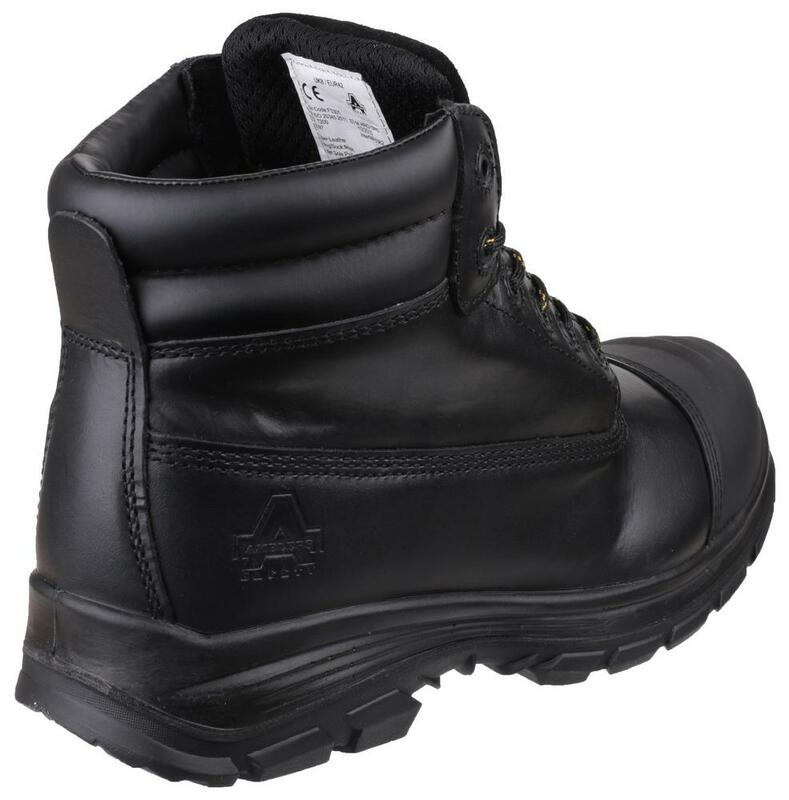 Dual density PU/Rubber outsole resistant to oil, acid, solvent and 300C heat contact. Upper Material: Full grain leather. Water resistant upper.